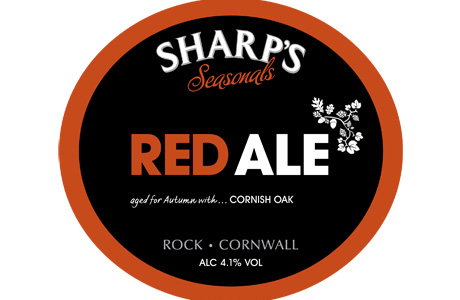 Sharp’s Brewery is bringing back Red Ale this month, following huge demand from on-trade customers and cask beer lovers. The delicious, fruity bittersweet beer is making a comeback at the bar one year on from being named the ‘Supreme Champion Beer of Cornwall’ by CAMRA. The wonderfully rounded flavour of Red Ale (4.1% ABV), which is achieved through being matured over Cornish oak, will be something to savour after a long walk through golden leaves. With its caramel and biscuit aroma and deep flavour, featuring dry roasted coffee and nutty malts, Red Ale becomes moreishly bitter, making it the perfect autumn brew. The beer is the latest in a series of seasonal brews from Sharp’s for 2013.